Benching for FTs should only be strategic as in getting guys off in later minutes when the other team is fouling in a comeback attempt. Else, it’s a youth league punishment. Not if you want to win. Listen, there is no harm sitting someone on the bench for an extra stretch if they are missing free throws left and right. It reinforces the point that free throws and execution matter. I’m not suggesting we bury someone in the bench forever. Bench them. I bet they don't even know FTs are a big deal at this point and that that they've mattered to us in games so far. Please. CBG has no idea. Why even bring that up? Benching for FTs should only be strategic as in getting guys off in later minutes when the other team is fouling in a comeback attempt. Exactly. No more posting until you can prove in your posts that you're ready to post again. Chappie, I think we’re in agreement. Pause for a moment. 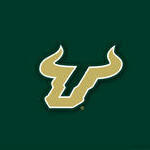 Looking ahead to next year, USF should be top 2 in the AAC to be sure.